AU$200 + 10% Welcome Bonus Don't let the name fool you, All Slots loves roulette players! With well over 400 games including several variations of roulette, All Slots is no longer known just for their pokies. They have over 10 years of experience and offer a $200 Welcome Bonus plus 10% on any other deposits for a year! Check out All Slots Casino today. Ever since 2000, players have turned to All Slots Casino for all kinds of casino gambling. Despite the name, the Microgaming software that powers this site has a lot more to offer than just slots games. Every year since its launch, All Slots Casino has been pushing boundaries with the latest innovations to remain right on the cutting edge. They lead the charge with digital slots tournaments and now they have fully functional mobile gambling technology. But, even with all of the improvements that we've seen at All Slots, their online roulette software is still right at the heart of what has made this casino a winner year in and year out. Let's start the review with a quick look at the welcome bonus that All Slots Casino offers to all new depositors - it has two parts. First, you can receive up to $200 in the form of a 100% match bonus on your first deposit. Then, for the second part, you can get a 10% on all deposits in your first year, with a generous limit of $450 monthly. The end result, if you take full advantage of these offers, is that you can receive $5,000 in bonus money from All Slots Casino in just your first year. The VIP program at All Slots is what you would expect. It offers cash back rewards for playing, using a simple points-based system. For every $10 wagered, you will get one player point deposited in your loyalty account. Remember, you earn the point whether you win or lose. Then, for every 1,000 points earned, you get $10 in cash. One nice feature at All Slots Casino is that you get points for playing with any and all casino games, which stands in stark contrast to the many VIP programs at online casinos that put some games off limits. Roulette players are usually just looking for European wheels when choosing a casino and All Slots Casino does have that base covered, but they also have a handful of other varieties. With American roulette, French roulette, Multi-Wheel European roulette, and even Roulette Royale (which comes loaded with a progressive jackpot), you're probably not going to need anything else. Oh, and did we mention that the Microgaming software at All Slots Casino was awarded the Safe and Fair designation from eCogra? It's the most trusted sign of a fair casino and it should be considered a must-have for any online casino. All Slots Casino depends on Inedxia Ltd to process all player payments and ensure security using their SSL digital encryption. 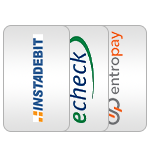 They still have the flexibility, though, to accept deposits via Visa, MasterCard, Moneybookers, eCheck, ClickandBuy, EntroPay, Citdadel, EcoCard, Instadebit, Ukash, Click2Pay, UsyMyFunds, and Ticket Premium. The support team at All Slots Casino is available on a 24/7 basis but they don't have the wide variety of contact options seen at some casinos. Luckily, though, they do offer the most important ones. Contact them via email or toll-free phone (yes, even from Australia) to quickly have your questions answered. You can also check out the FAQ on the All Slots Casino website for answers to the most common questions. We feel comfortable recommending All Slots Casino to our Australian roulette players and, if you're still not sure, just create a free player account to learn more with some hands on testing of your own! Earn $200 on your first deposit then 10% on any additional deposits for a year when you join All Slots Casino today!